Because the Super Bowl is always the most-watched television event on the year by far, there is a huge focus on the advertisements. Companies spend millions and millions for time during the game to promote their products to a huge audience. This year was no different with the average rate for a 30-second ad was $3.8 million, truly a staggering sum. And as every year, there are some great commercials that go down in history, and some that are truly garbage. 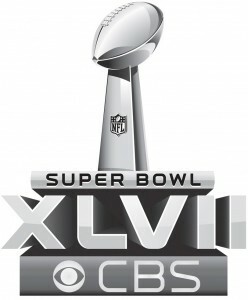 In this post, let's take a look on what I considered to be the worst Super Bowl commercials for XLVII. I mean, the premise is not awful and it is nice to see GoDaddy is going in a slightly different direction from the old crap they used to throw out. But seriously, we don't need a close-up of two folks making out with the unnecessary sound effects for half the video. I guess a car could give you confidence on prom night? Why didn't that happen for me? I actually found this funny, but the Taco Bell mentions at the end had absolutely nothing to do with the rest of the commercial and felt out of place. I wasn't feeling this, and I not sure how that fish will move some merchandise. I thought this ad was pretty bizarre and is a t-shirt really that important? Pretty lame and I didn't think it was that original either. I hate that baby. It isn't funny anymore, and it is questionable if it ever was. E-Trade, please come up with something new. Enough with Jared, we get it. Hey, I do love milk as much as the next guy but let's get real. I've had Pepsi Next a couple of times, not a bad product. But this ad was too much. I saw this trailer in theaters so this wasn't happening for me. These Century 21 ads got old fast, and this one really didn't make any sense either. Again, does this make anybody want to drink that beer? Did this dopey ad really offend people? Hey, at least I was one of the few that got the reference to this.